Beryl is a talisman for artists and sculptors. It promots creativity, eliminated weariness, maintained vivacity of spirit and raised its wearer intelligence. It also protects the owner on distant trips and helped with research and philosophy studies. Beryl is used by fortune-tellers. Legend says that Beryl helps in fights and disputes; it makes the owner invincible, but not too aggressive. Chrysoprase is powerful stone. It is said to bring good fortune and prosperity, as well as business success. It facilitates self-expression, courage, hope, and the ability to use them wisely. It can bring happiness, which is partly because it helps its wearer get rid of negative thoughts and irritability. It also enhances and strengthens friendships. Chrysoprase is a stone of balance that equalize yin/yang energies and allows deep meditation. It can mend broken hearts and remove inferiority or superiority complexes. t is a powerful healing stone that is said to aid failing eyesight or other eye problems, immune system response, fertility issues, gout, mental illness, relieves fevers and excess body heat. Green Tourmaline (Verdelite), is perhaps Nature’s best healing crystal of the physical heart, channeling its electrical energies into the center of one’s being and creating a flow of wholesome energy to all parts of the body and self. 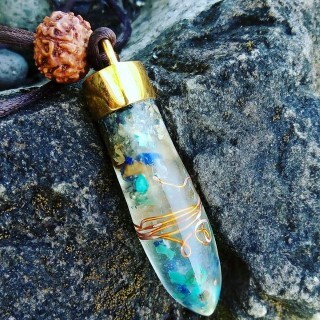 Its spiritual vibrations harmonize with the energies of the Earth as it opens the Heart Chakra and stimulates a strong resonance with Divine Love. Green Tourmaline attracts luck, success, abundance and prosperity. It inspires creativity, and may be used to project, create and manifest one’s goals. It might also increase one’s opportunities to earn a second income by turning an interest or hobby into a business. Larimar is a wonderful stone for mothers, during and after pregnancy. It helps in alleviating post-partum depression, and relaxes the stress associated with new parenthood. As a soothing Water element stone, Larimar cools hot tempers and guides excessive passion into peace. It may be used to diminish the frequency and intensity of hot flashes, and when one’s kundalini energies have become uncomfortably active. Moonstone is said in crystal healing to help calm responses and stress, and avoid overreaction. 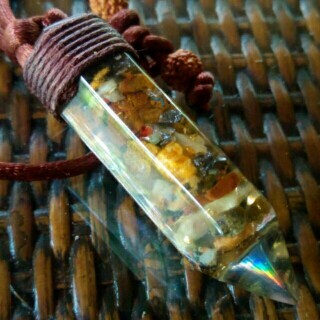 It brings hope, enhances feminine energies, sensitivity, intuition, and psychic abilities. It is also said to bring strong energies of abundance to one’s life.Moonstone is a stone of protection, especially during childbirth, pregnancy, and travel at sea. It is a stone of calm and relief from emotional stress. It is also associated with love of all kinds. Moldavite is a tektite, and a stone of intense frequency and high vibration. In ancient times it was thought to be a mystical stone that could bring good luck and fulfillment of wishes. 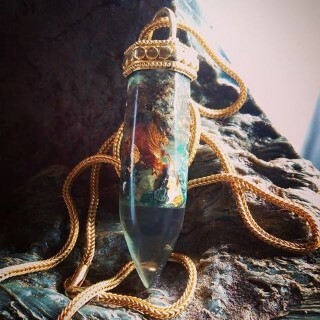 These natural green crystals are powerful stones for transformation, as it is thought to be the stone known as “The Holy Grail Stone.” It is an amazing crystal to create change in your life, and is one of the best stones to use for psychic protection, as negative entities find it difficult to connect to your aura when you are wearing it. Moss Agate is a stone of wealth, attracting abundance in all forms. In the workplace, it draws new business and gradual expansion, increasing prosperity over time. 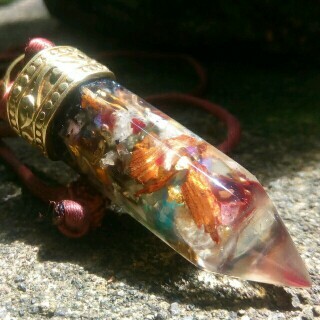 It is good for small businesses and the self-employed, and a fortifying crystal for financial situations. Useful as a birthing crystal, Moss Agate aids midwives in their work, reducing pain and assisting in delivery. It is a stone of new beginnings and extremely beneficial as a body strengthener in times of stress. Its steady energies aid those who feel unstable or not grounded. It is an excellent stone for convalescing after illness, or in recovery from addictions. Moss Agate is a cleansing crystal, useful for clearing personal energy systems as well as environmental. Petrified wood is a stone that is good for grounding and stabilizing one’s emotions. It is particularly useful in calming survival-based fears. It helps one be practical. It is a stone of business success. Petrified wood is a good stone for general protection. Physically, it is used in crystal healing for the bones, backaches, skin and hair. Prehnite is known as a stone of forecasting, highly esteemed among the psychics, mediums and clairvoyants. This stone deserves full attention, even if you are not interested in fortune telling. Prehnite is a basic stone for visualization of any kind and as such, it enables a smooth transition into deeper meditative states. Prehnite is also a crystal of memory and recollection. Capable of enhancing a person’s protective field, it brings peace and calm. Rain forest Jasper is opaque Jasper in dominant shades of moss green and white, swirled with veins of earthy hues. 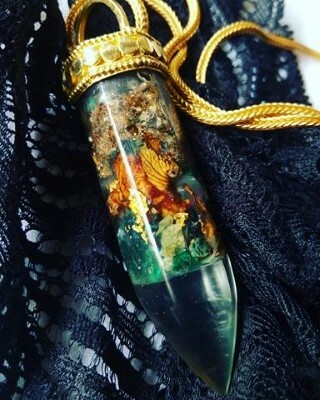 It is a stone of connection to the Earth and living things, and honors the highest spiritual teachings from Nature. It awakens a sense of joy at life’s simplicity, and carries a healing, invigorating energy of hope and renewal. It is a marvelous stone for Earth-healing and working with the divine realm, and may also be used in retrieving knowledge of herbal-healing from the far past, especially wisdom passed through one’s ancestral matriarchs. Smokey Quartz Crystals are some of the premier grounding and anchoring stones.These stones are strongly protective and are excellent stones for all of us to keep within our aura at all times.If you are a spiritual worker such as a clairvoyant, you may take advantage of this stones ability as a stone of psychic protection. It will both protect you from negativity and transmute the energy, by grounding it back down into the earth. Turquoise is a most efficient healer, providing solace for the spirit and well-being for the body. It benefits the overall mood and emotion by balancing and inducing a sense of serenity and peace. Holding or wearing Turquoise helps restore depleted vitality and lifts sagging spirits. It relieves stress and brings focus back to the center heart. Resizable Water Proof Silk Nylon Necklace.